You will find below the horoscope of Keri Hilson with her interactive chart, an excerpt of her astrological portrait and her planetary dominants. Horoscopes having the same aspect Mars sextile Jupiter (orb 0°32'): Megan Fox, Robert Pattinson, Catherine Deneuve, Drew Barrymore, Shia Labeouf, Serena Williams, Meg Ryan, Robert Plant, Zlatan Ibrahimovic, Mary-Kate Olsen, Charles Aznavour, Mélissa Theuriau... Find all the celebrities having this aspect. Celebrities born the same day: Walt Disney, Eva Joly, Patricia Kaas, Robert Hand, Paula Patton, Little Richard, Frankie Muniz, Ronnie O'Sullivan, Lauren London, Milton Erickson, John Rzeznik, José Carreras... List of all the celebrities born on December 5. Celebrities clicked on in real-time: 577,399,322 times. Keri Lynn Hilson (born December 5, 1982 (birth time source: Sy Scholfield, Astrodatabank from herself on Twitter)) is an American recording artist signed to Zone 4, Mosley Music Group and Interscope Records. She is part of a collective of writers and producers known as The Clutch. Through the early and late 2000s, Hilson wrote songs for multiple rappers and singers, including Britney Spears and Ludacris. In 2007, she guest performed on Timbaland's hits "The Way I Are" and "Scream" and began a solo singing career. Hilson has made cameos in music videos for Usher, Ne-Yo and Nelly, amongst others. Her debut album, In a Perfect World. Here are some character traits from Keri Hilson's birth chart. This description is far from being comprehensive but it can shed light on his/her personality, which is still interesting for professional astrologers or astrology lovers. 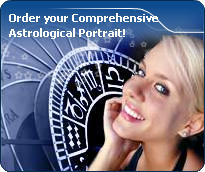 In a matter of minutes, you can get at your email address your astrological portrait (approximately 32 pages), a much more comprehensive report than this portrait of Keri Hilson. Keri Hilson, the nocturnal North-eastern quadrant, consisting of the 1st, 2nd and 3rd houses, prevails in your chart: this sector favours self-assertion and material security to the detriment of your perception of others. You consider self-transformation to be a hazardous adventure. You are inclined to seek stability and you tend to protect yourself with your actions. Possession, acquisition but also communication, without opening up too much, are part of your deep motivations. You are rather autonomous and constant, however it is important that you pay more attention to others, so that you can improve your outcomes. Keri Hilson, Fire is dominant in your natal chart and endows you with intuition, energy, courage, self-confidence, and enthusiasm! You are inclined to be passionate, you assert your willpower, you move forward, and come hell or high water, you achieve your dreams and your goals. The relative weakness of this element is the difficulty to step back or a kind of boldness that may prompt you to do foolish things. Cheers for communication and mobility, Keri Hilson! The predominance of Air signs in your chart favours and amplifies your taste for relations and for all kinds of short trips, whether real (travels) or symbolic (new ideas, mind speculations). You gain in flexibility and adaptability what you lose in self-assertion or in pragmatism. Keri Hilson, the Cardinal mode is dominant here and indicates a predisposition to action, and more exactly, to impulsion and to undertake: you are very keen to implement the plans you have in mind, to get things going and to create them. This is the most important aspect that inspires enthusiasm and adrenalin in you, without which you can grow weary rapidly. You are individualistic (maybe too much?) and assertive. You let others strengthen and improve the constructions which you built with fervour. Your angular houses, namely, the 1st, 4th, 7th and 10th houses, are very emphasized in your chart, Keri Hilson: according to the Tradition, they are the strongest and most dynamic houses. Should the rest of your chart concur, angular houses suggest that you are an enterprising, energetic and assertive woman. Indeed, angular houses are said to generate impulsions and to give a powerful and domineering personality. After this paragraph about dominant planets, of Keri Hilson, here are the character traits that you must read more carefully than the previous texts since they are very specific: the texts about dominant planets only give background information about the personality and remain quite general: they emphasize or, on the contrary, mitigate different particularities or facets of a personality. A human being is a complex whole and only bodies of texts can attempt to successfully figure out all the finer points. Your thirst for learning is considerable, Keri Hilson, and you can spend a lifetime studying languages, geography, philosophy and law, particularly. You are open-minded and you want to abolish all kinds of frontiers. The humanist, who is dormant in you, may turn into a “frequent traveller” reaching out to others in order to understand them and communicate with them. You express your opinions and your beliefs with honesty and clarity and likewise, you receive others' views with enthusiasm. You have numerous centres of interest and you may be perceived to be superficial, heedless and over-optimistic. However, if you manage to control your tendency to scattering, all your encounters, all your discoveries can positively influence your philosophical life approach. On the affective plane, Keri Hilson, you are open, straightforward, spontaneous and you make friends easily because your enthusiasm is expressed jovially, directly and is respectful of well-established moral values. In some cases, you may be opposed to your natal environment or to your family because of your taste for freedom, exoticism or all forms of independence and emancipation. Your feelings are burning and you often get carried away quickly. However, your ability to make friends easily is likely to favour some instability; in order words, faithfulness is not your top priority as long as you have not yet found your soul mate. Ideally, for you, life together must have some degree of mobility and include travels and fresh air. Within your relationship, you need to feel freedom and independence, which you need since your childhood. Under such conditions, harmony and faithfulness can be achieved. Keri Hilson, you are so resistant and so solid that you are able to cope with any challenge, any ordeal. You behave with persistence, rigour and discipline. You are so obstinate and patient that no effort is impossible to you, as if sensitivity and emotions were unable to divert you from your goals. With calm and lucidity, even coldness, you face up to things and you plan on a long-term basis. Nothing and no one can prevent you from fulfilling your responsibilities. You are a rock, a hard worker, and your iron will equals your resistance to blows. Your practical sense is at the service of your ambition which is real and energetic, even though it may not be obvious. Sexually, you are active and vigorous. If you show more warmth, you may become an excellent lover; indeed, being demonstrative is not your major concern. This text is only an excerpt from of Keri Hilson's portrait. We hope that it will arouse your curiosity, and that it will prompt you to deepen your knowledge of astrology, as well as to visit and use the wide range of free applications at www.astrotheme.com. Your Life Path is influenced by the number 1, Keri, which often prompts you to have an active and sometimes original life. 1 is the number of creativity and indicates individual destinies which are achieved at the cost of personal efforts because, although the path may lead very far, it climbs steeply upwards. You need to learn to manage your life with a strong willpower while using your own resources. It is most likely that you reach the best of your possibilities if you choose a free-lance occupation, or anything which allows a lot of personal initiatives. You really need freedom of action. You prefer to innovate rather than to follow the trend, and to create rather than limiting your activities to repetitive tasks. Thus, your life may be theatre of spectacular twists and turns, all the more so because the more you progress, the more your indecisiveness fades away. In such conditions, it is necessary that you strive to maintain a minimal degree of stability in the course of your life.